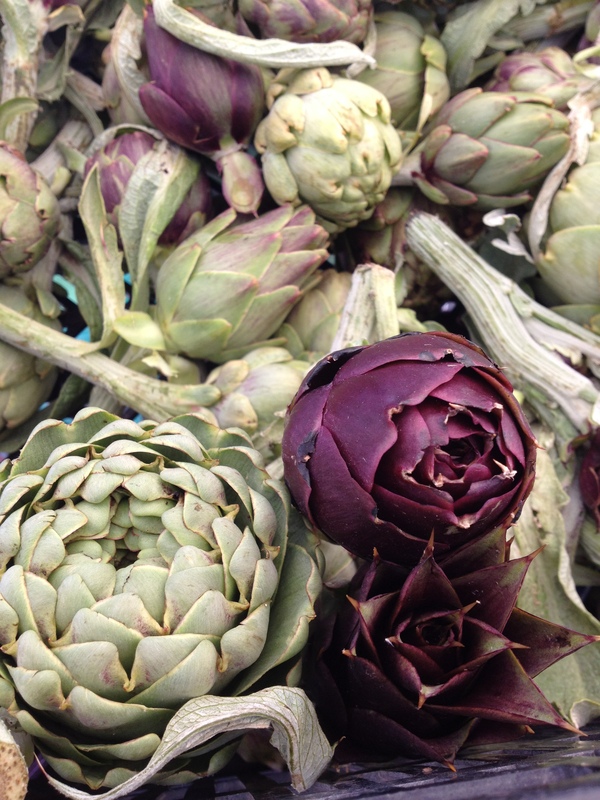 Farmers Market Finds: Thorny Artichokes | Club Dine In! 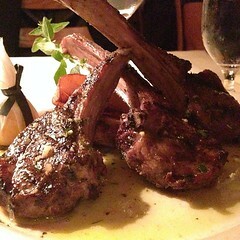 Posted on April 14, 2013 by Club Dine In! 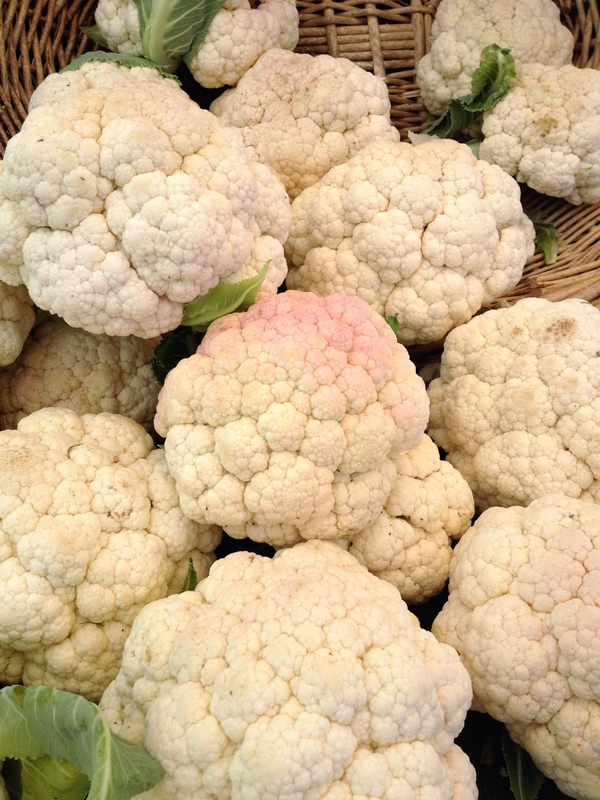 My Instagram feed has been flooded with pictures of cherries, rhubarb, purple artichokes, and naturally pigmented cauliflower from other farmers market goers, which got me curious about what I would find. 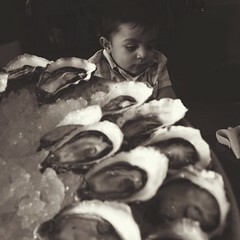 It was another, unusually sunny Sunday morning and I knew the good weather crowd would be at the farmers market too. Satish joined me today, which is something I always welcome since he can help me carry my bags back home! The cauliflower had a pinkish-purple pigment, which is naturally occurring from an antioxidant in the purple vegetables and fruits. I did find these gorgeous artichokes, which were not at the market last week. The purple ones had really sharp thorns, which I pricked my thumb on! I was especially eager to go to the farmers market after being inspired by what the students at Mission High school (where I volunteer) made in class. 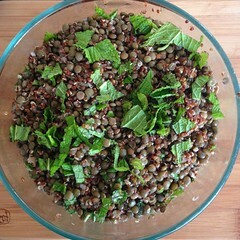 The high school has a nutrition and leadership program, where the students learn healthy cooking and eating skills, teach their peers, celebrate cultural recipes, and tend to their school garden. The students harvest fresh fruits, vegetables, herbs, and flowers to use in the cooking portion of the class. Every week, they make something impressive and extraordinary. I certainly did not learn about kale or romanesco in my Home Ec class nor did I grow up eating these foods. Last week, the students made strawberry short cake using whole wheat flour, homemade whip cream, and just picked strawberries. 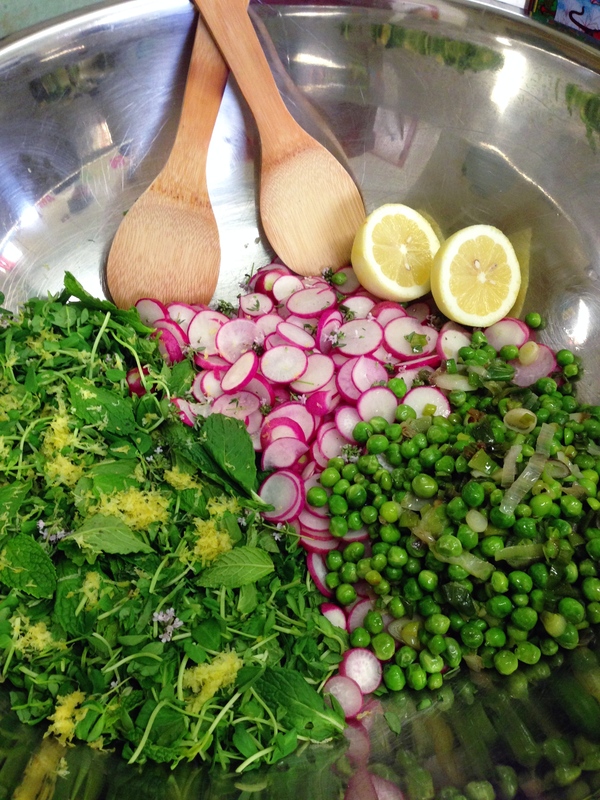 They also made a stunningly beautiful Three Pea Radish Salad, which I couldn’t resist Instagramming. Actually, I was not the only one, the teacher and other students also whipped out their cell phones to take pictures of the beautiful food. After this class, all I wanted to do was rush to a farmers market to pick up these ingredients and make this for dinner. 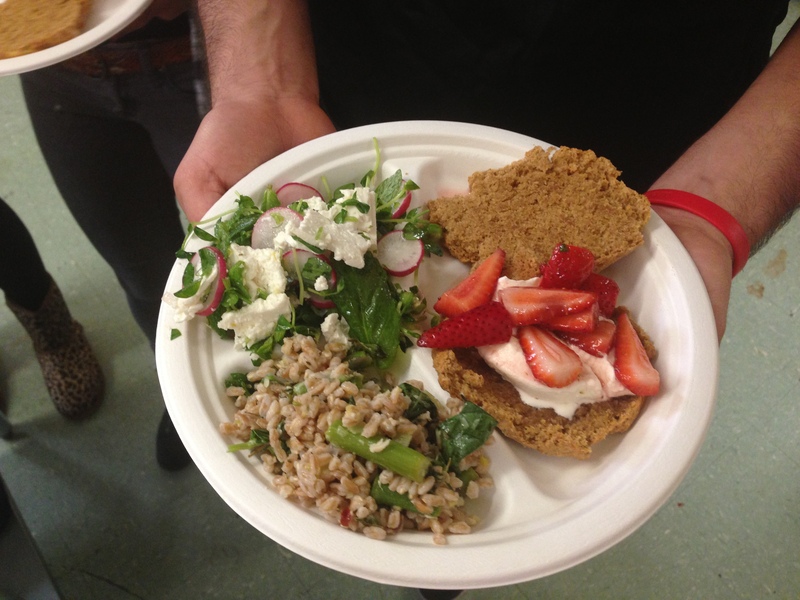 The students made farro with asparagus, arugula, crispy pancetta and herbs along with the pea salad and strawberry short cake. 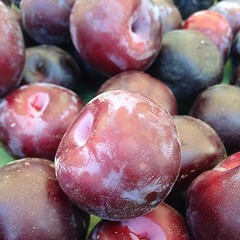 What did you find at your farmers market?